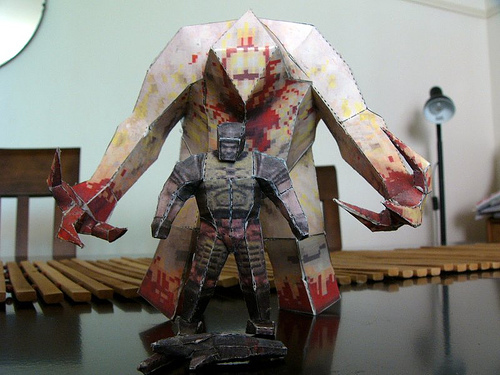 More Quake papercraft, this time with SHAMBLER! My favourite furry critter! Plus this time there's patterns and instructions for us too ... what a total treat.